Product prices and availability are accurate as of 2019-04-22 21:24:39 UTC and are subject to change. Any price and availability information displayed on http://www.amazon.com/ at the time of purchase will apply to the purchase of this product. ALWAYS - Perform a patch test on a small test area of skin, such as the back of your neck or hand, 24 hours before applying the product to your face to ensure the formula is compatible with your skin. As when adding any skin care product to your routine, it's important to make sure the formula is a good fit for you. 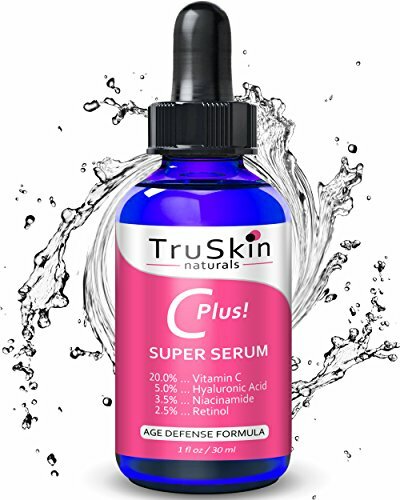 If you're not happy for any reason, simply contact TruSkin Naturals and they will give you a full refund, no questions asked and no need to return the bottle. 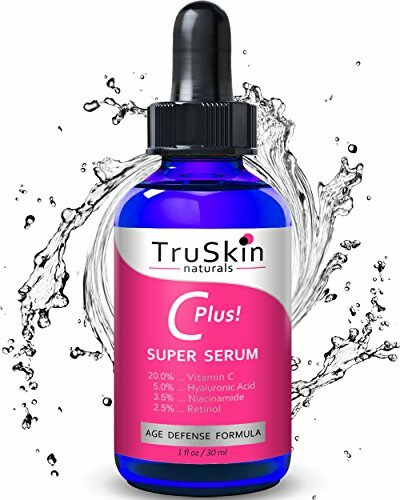 PREMIUM AGE DEFENSE FORMULA - Powered by the synergistic blend of Vitamin C, Retinol, Niacinamide, Botanical Hyaluronic Acid, Salicylic Acid and nourishing plant extracts, this comprehensive serum works to promote and prolong more youthful and healthy looking skin. 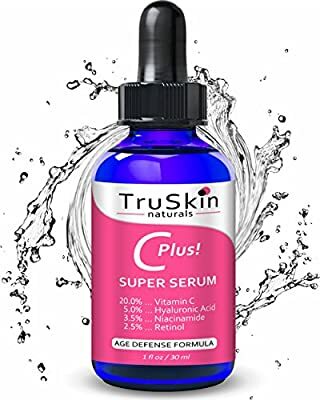 POWERFUL PROFESSIONAL STRENGTH FORMULA - This potent and richly concentrated age-defying serum incorporates easily into your skin care routine. Apply a few drops just 2-3 times a week under moisturizer. ADVANCED NATURAL & ORGANIC SERUM - Long known for preventing and reversing the signs of sun damage and aging, the dynamic duo of 20% Vitamin C & 2.5% Retinol are boosted by the power of 3.5% Vitamin B3 (niacinamide) & 2% Salicylic Acid, along with naturally soothing Organic Aloe Vera, HA, MSM, and Rose Hip Oil to rejuvenate, protect and dramatically enhance skin's future. A bright touch of Pink Grapefruit Essential Oil adds a subtle, uplifting note to this silky smooth formula. ALL TRUSKIN NATURALS PRODUCTS ARE CRUELTY FREE - Our products are never tested on animals and are free of parabens, sulfates, GMO's, artificial fragrance, silicones, corn, and soy. All of our products are proudly formulated here in the USA. ?WORKS OR YOUR MONEY BACK ? 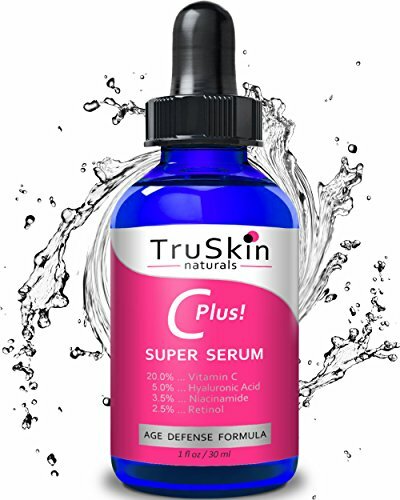 - TruSkin Naturals is a different kind of company that offers the absolute best customer service in the industry. 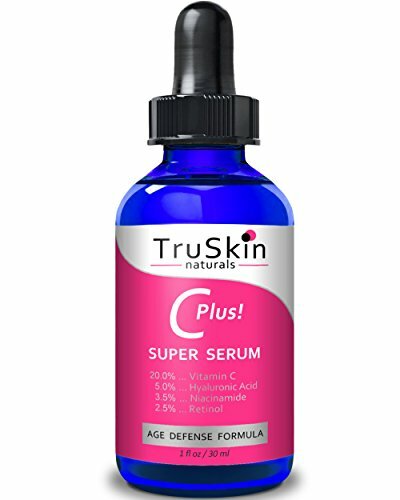 If for any reason you decide that this serum is not for you, you have a ? FULL 3 MONTHS ? to send 1 simple email and receive a 100% money-back refund, absolutely no questions asked (in fact, you don't even have to return the bottle).